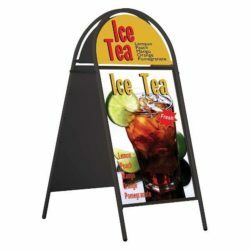 This pavement sign can be used in front of bakeries, shops and commercial areas. The double sided aluminum pavement sign is used for various applications. 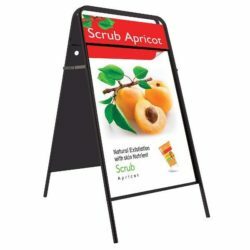 It is a perfect sign tool to help take attention in high traffic commercial environment. 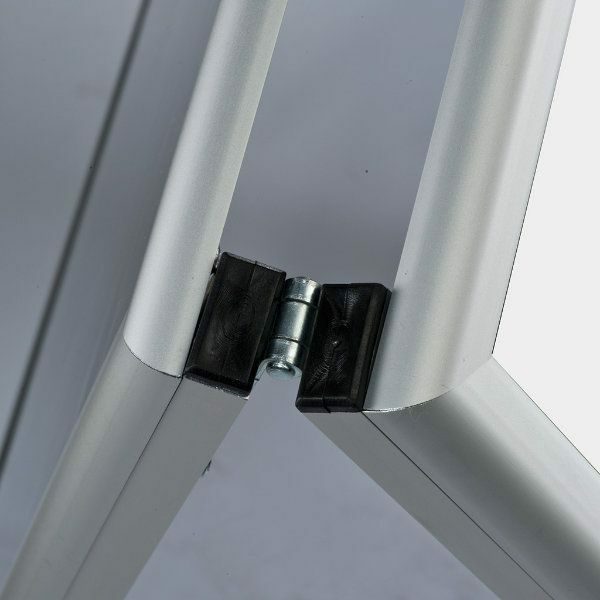 The silver anodised aluminum body is durable, stainless and offers long time use. Sign is designed for indoor and outdoor use. Stable and robust stand of this pavement sign creates an effective advertisement area. This pavement sign is known as write on A board. 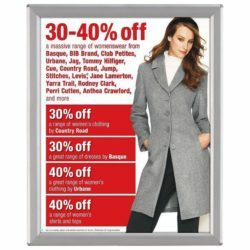 You can easily set up this outdoor signage. No tool is required for assembly. Please note you need to order pens in sets. The viewable area of this double-sided display is 22″ x 28″ and its background color is white. 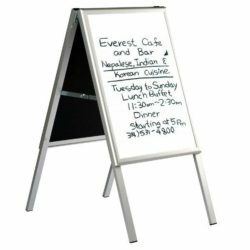 The frame material of this double-sided display is made of aluminum and its frame color is silver. The sidewalk sign is rigid and weatherproof. 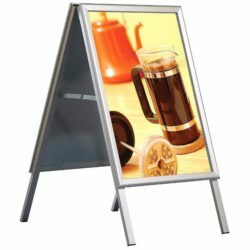 As you can see, this double-sided display is suitable for outdoor and also it is low priced guarantee. 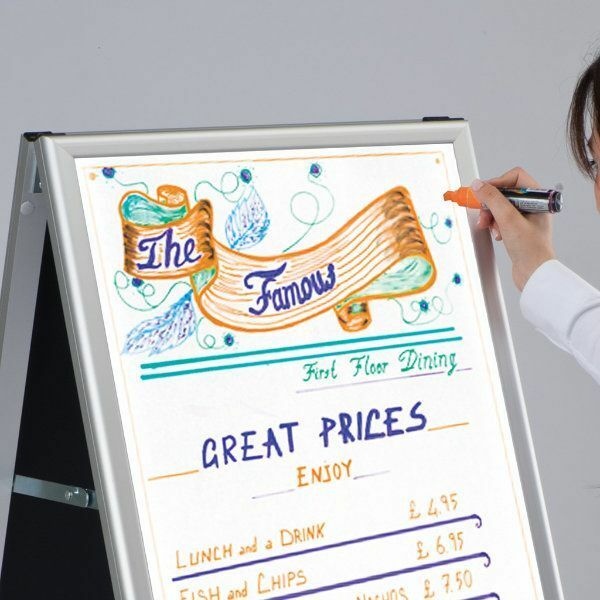 Your business makes a difference in competition, invite customers and increase sales, thanks to this cheap sidewalk signs. The board is nice looking and the markers show up well on it.